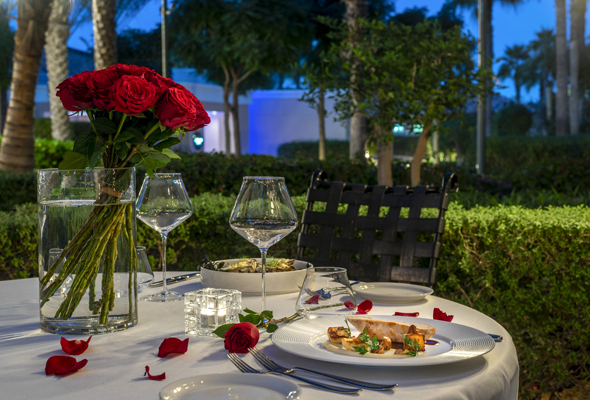 Dine al fresco at Palm Grill this Valentine’s weekend. Situated on the white-sand beach at the hotel, the restaurant will serve up a four-course menu of Mediterranean-inspired dishes, including fresh seafood, surf and turf, and a tasty rich chocolate and raspberry dessert. There will also be live music all night long, to set the Valentine’s mood. Palm Grill, 6pm to11pm, February 13 to 16, Dhs595 per couple with soft drinks, Dhs845 per couple with a bottle of bubbly, Dhs1,250 per couple including a bottle of premium bubbly. 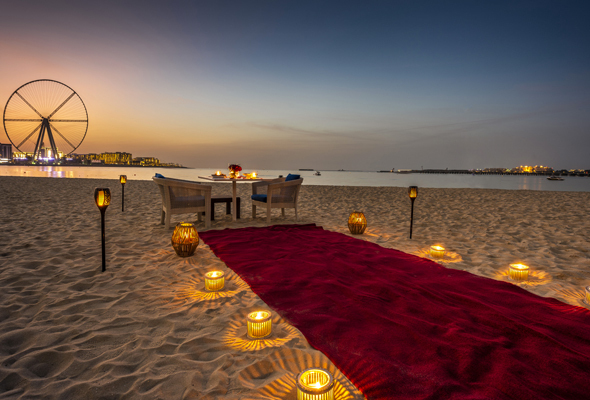 What better way to impress your loved one this February 14 than with a romantic dinner on the hotel’s private beach? 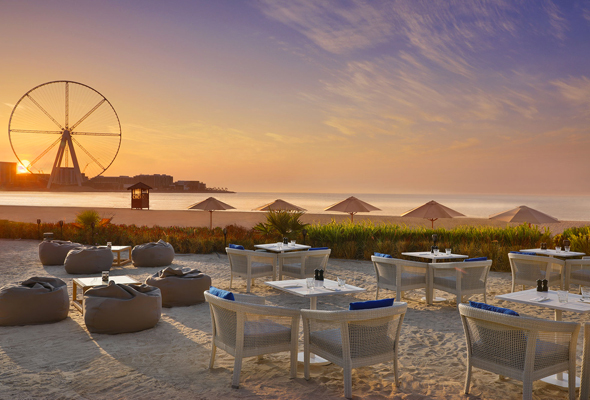 This Valentine’s Day, The Ritz-Carlton, Dubai is offering you the chance to tuck in to a delicious five-course set menu with a private butler service on a secluded part of the beach. 6pm to 10pm, February 13 to 16, Dhs2,500 per couple including a five-course set menu, soft drinks and a bottle of premium pink bubbly. Prior booking is required. Italian restaurant Splendido Social Bar and Kitchen is cooking up a five-course ‘San Valentino’ menu. Dishes featured include a tasty lobster carpaccio, guinea fowl with foie gras, along with a slightly more daring tempura oyster dish and of course – the popular chocolate pizza. Splendido Social Bar and Kitchen, 6pm to 11pm, February 13 to 16, 6pm-11pm, Dhs820 per couple including one house drink. Dhs 1,100 per couple including a bottle of Italian bubbly. If you’re looking for something different to do this Valentine’s Day, you can’t go wrong with this Bedouin-inspired evening. 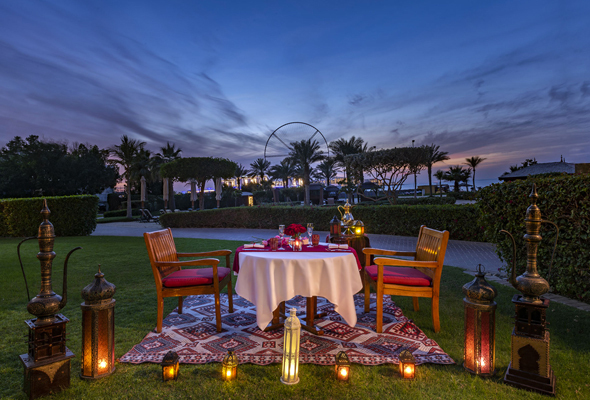 Choose from buffet-style dining with live Arab entertainment, or for an extra special dinner, book a private dining tent which includes a premium bottle of bubbly. February 13 to 16, Dhs395 including one bubbly cocktail. Dhs1,400 per couple in a private tent including a bottle of bubbly. Need a little TLC this February? 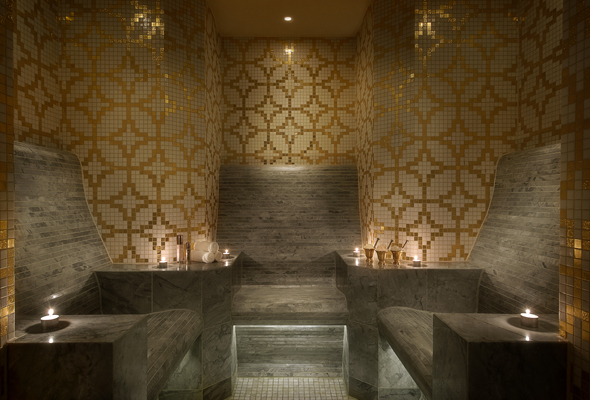 Check in to the five-star Ritz-Carlton Spa Suite. Throughout the month, the hotel is offering a special couple’s spa package, including relaxing massages, chocolate covered strawberries, bubbly and use of a private steam room as well as pool and beach access. February 1 to 28, Dhs1650 per couple. 48 hours advanced notice needed.